Every night a different hero!! First, the great news. Then, the good news. The top buzz coming out of the world of Coupeville High School JV girls basketball concerns Kylie Chernikoff, who is off her crutches and due back at practice. 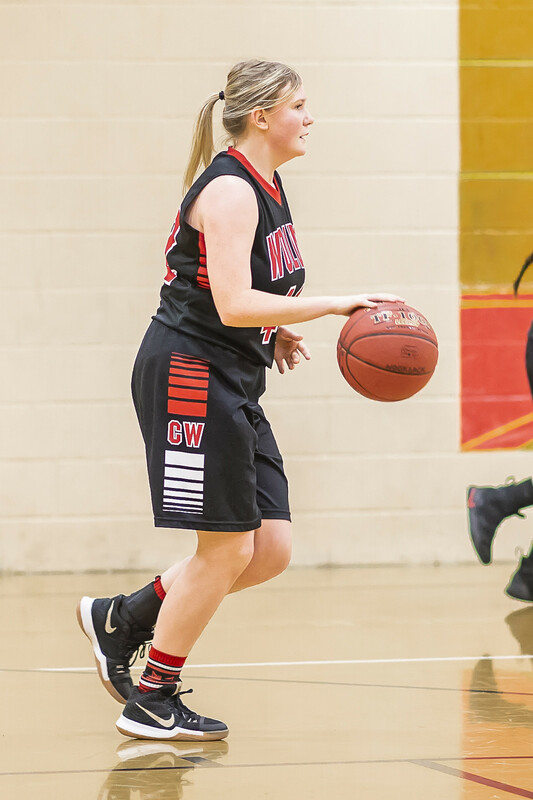 One of the hardest-working Wolves in the program, the sophomore has been recovering after hurting her ankle, and her return should deliver a nice jolt to her team’s defense and intangibles. And, the news gets better, as the team she will be rejoining just shredded visiting Sultan 34-18 Tuesday, capturing its fourth-straight win. Now 2-0 in North Sound Conference action, 4-3 overall, Amy King’s squad, which has shuffled players all season, is just starting to find its groove. Imagine if the roster ever solidifies for two games in a row. No matter which lineup King has to throw at opposing teams, she has multiple weapons at her disposal, as the Turks found out to their great detriment. Leading from start to finish Tuesday, the Wolves needed just one play to effectively break the collective backs of the Turks. It came from fab frosh Audrianna Shaw, who rolled around a defender and buried a running hook shot off the glass in the game’s opening moments. If Sultan thought it still had at least a chance, that quickly vanished, as well. Anya Leavell, snatching one of her three steals, beat the crowd to the basket, flying coast to coast, while switching hands at the last second. That allowed her to evade a trailing defender and slap the ball home with ease. From there, it was pretty much all-Coupeville, all-the-time, whether Abby Mulholland was droppin’ jumpers, with Ja’Kenya Hoskins and Leavell feeding her with great set-up passes, or Morgan Stevens suddenly erupting. 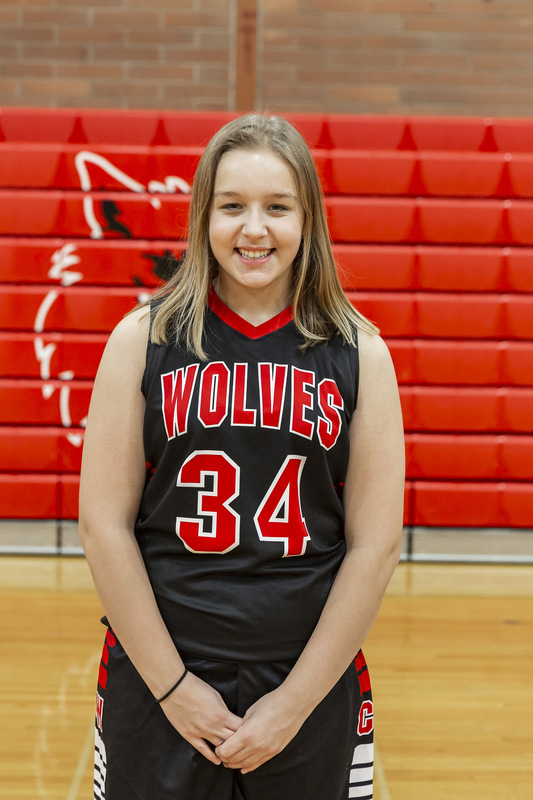 The Wolf freshman, a solid role player who continues to show growth in her first year on the hardwood, had a second-quarter run where she brought her JV teammates, and their varsity counterparts, to their feet. First, Stevens connected on a jumper, set up by a thread-the-needle pass from Kiara Contreras, then she went big-time, backing down her defender and lofting up a ball that banked off the glass and hit pay-dirt. Inspired by her play on the offensive end of the floor, Stevens ramped up her game on the defensive end, as well, attacking the Sultan ball-handler and barking out “ball, ball, ball! !” like a new version of Chernikoff. Up 16-7 at the half, with four different players having scored four points apiece, Coupeville continued to share the ball after the break. Contreras, in particular, played with real precision, wheeling and dealing with flair while running the point for the Wolves. “Kiara had great selfless passing,” King said. “The highlight of the first half to me was her pass out to Morgan. Along with her passing, Contreras also showed off a deadly jumper, netting a third-quarter bucket with a ball which barely rippled the net as it dropped through. Keeping alive the selfless theme of the night, that bucket came off a rebound and kick-out from Hoskins, who made the pass while weighed down by a Turk draped across her back. Coupeville spread out its scoring, with six of 10 active players landing in the book. Shaw and Leavell each rattled the rim for 10 points, while Mulholland (6), Stevens (4), Izzy Wells (2), and Contreras (2) also scored. Mulholland yanked down eight rebounds, Shaw pilfered four steals, and the trio of Kylie Van Velkinburgh, Alana Mihill and Mollie Bailey all contributed defensive scrappiness. Teams coached by Amy King don’t give up. Regardless of the sport, whether it be volleyball, basketball or softball, that has been a trademark during her run on the sideline at Coupeville schools. 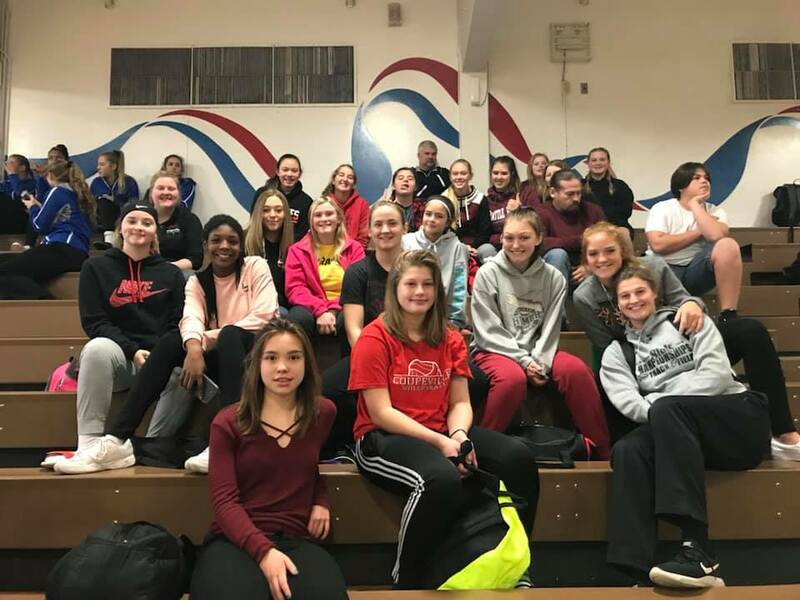 So it shouldn’t come as much of a surprise that the Wolf JV girls hoops squad played its strongest ball Tuesday at a moment when many teams would have simply quit. Closing on a 10-2 run, including scoring the game’s final four baskets, Coupeville couldn’t catch Meridian on opening night, but it did give the visitors something to think about as they exited. And while the Wolves fell 49-22, the grit showed at the end, with all the points rattled home by freshmen, speaks well for the future. The late run came largely courtesy three players — Izzy Wells, Ja’Kenya Hoskins and Kylie Van Velkinburgh — who have grown up playing together on SWISH teams. Wells knocked down three buckets during the final surge, one coming off a put-back on an offensive rebound, while Van Velkinburgh showed off a varied skill set. On back-to-back plays, she first hauled down a rebound and fed Hoskins for a basket, then swished a long shot from the top that was a millimeter away from being a three-ball. The strong finish made up some for a hot-and-cold opening act for the Wolves. Coupeville fell behind 10-3 at the first break, unable to hit a field goal in the first eight minutes. It got worse, as CHS didn’t hit a shot from the field until the 2:25 mark of the second quarter, when Anya Leavell coaxed a soft runner to drop. At that point, the Wolves had scraped out seven points, all on free throws, with Hoskins, Mollie Bailey, Kiara Contreras and Kylie Chernikoff all hitting from the charity stripe. 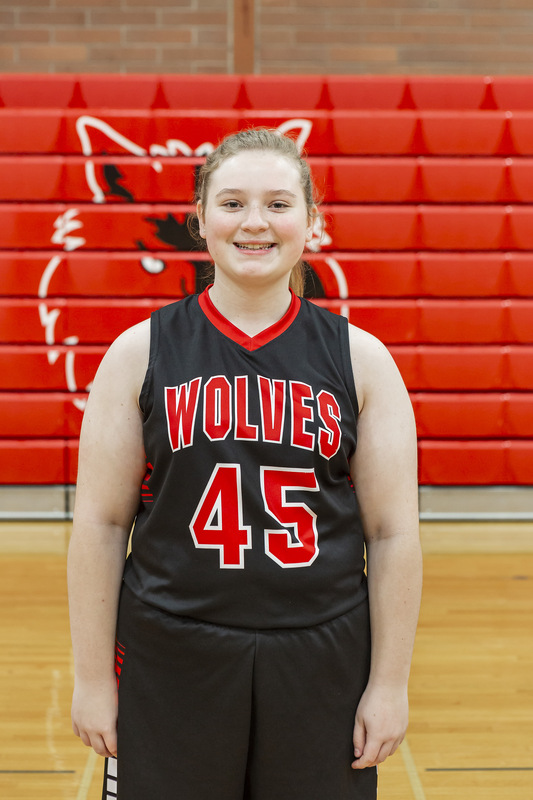 The star of the second quarter was a young woman with a Coupeville connection, who, unfortunately for the Wolves, was wearing a Meridian uniform. 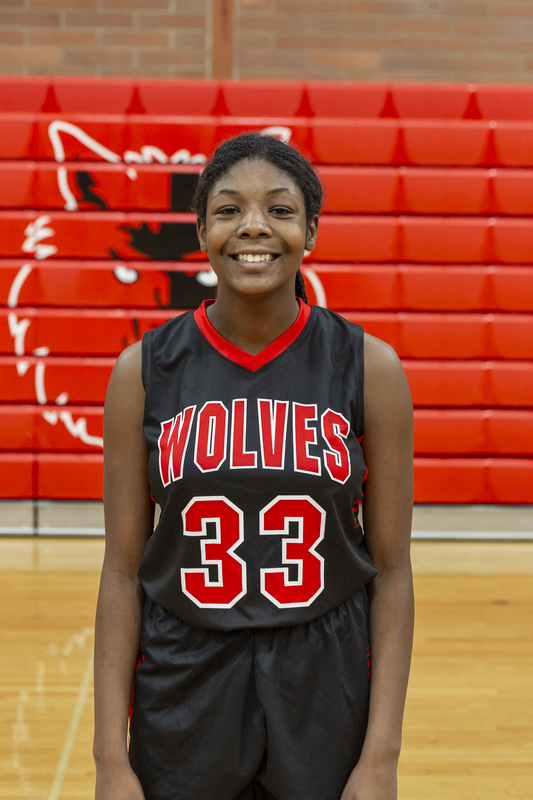 Freshman Malaysia Smith, daughter of former CHS boys basketball coach Anthony Smith, made her high school debut a strong one, carving up the Wolf defense for nine of her game-high 15 points in the second frame. 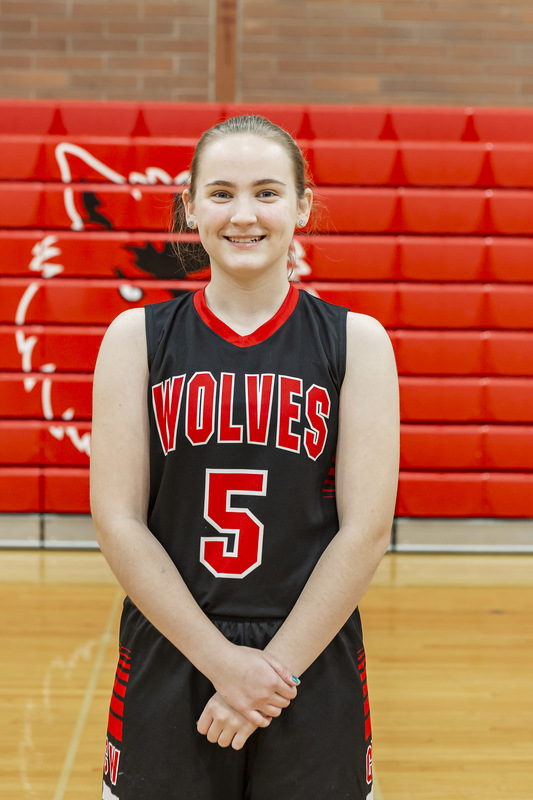 Leavell netted a long jumper in the third quarter and was the only Wolf to hit from the field until Coupeville’s fourth-quarter run. Wells paced CHS with six points, Hoskins banked in five and Leavell popped for four, while Contreras (2), Van Velkinburgh (2), Bailey (2) and Chernikoff (1) rounded out the scoring attack. While they didn’t score on opening night, Lily Leedy, Morgan Stevens, Ivy Leedy and Alana Mihill also saw floor time for the Wolves. For the players, it’s a chance to get on the court and face someone besides your own teammates. And for coaches, it’s a chance to gauge where their team is without having to worry too much about wins and losses. So, with the regular-season opener looming Tuesday, the Coupeville High School girls hoops squad hit the road Saturday, landing at the Sedro-Woolley Jamboree. The event drew nine schools, ranging from 1B to 4A, and both Wolf teams finished the night with a split. But, like it said up top, wins and losses were not priority #1. Coupeville fell by two to 2A Bellingham, then toppled Darrington 12-9 in the nightcap. Lindsey Roberts paced the Wolves on offense, while freshmen Izzy Wells and Ja’Kenya Hoskins stepped up to replace missing varsity players. “Effort and attitude played a big part” in the frosh getting the call, David King said. The duo each played one of two games for the varsity, while junior Tia Wurzrainer and sophomore Mollie Bailey also made their varsity debuts, playing in both games. The Wolves almost pulled off an upset against a foe from a much-bigger school, staying close to Bellingham and pulling within a bucket with just 15 seconds to play. While two wins would have been extra sweet, Coupeville’s coach was pleased with a lot of what he saw from his squad. The second unit “fell behind early to Lakewood and tried climbing back in, but ran out of time,” in its finale, but that couldn’t dim the glow from the opening rumble. Squaring off with Bellingham, the Wolves built a 10-4 lead, then withstood a wild comeback that saw the game knotted up as time ran down in the short game. Not content to play for the tie, Coupeville pulled out a buzzer-beater special. Wolf point guard Kiara Contreras snagged an in-bounds pass, put the ball on the floor, then launched a pass that zipped most of the length of the court before landing on the fingertips of teammate Anya Leavell. Her fellow fab frosh promptly knocked out the bottom of the net with a game-winner from the baseline, bringing her teammates to their feet. Of course, the pass could have gone terribly wrong in so many ways, and given Bellingham its own chance to win. Except Contreras and Leavell, seasoned players with multiple middle school and SWISH seasons under their belts, are cold-blooded killers. The JV games marked the debut for freshmen Lily Leedy, Kylie Van Velkinburgh, Alana Mihill, Contreras and Leavell, as well as for first-time players Morgan Stevens and Ivy Leedy.